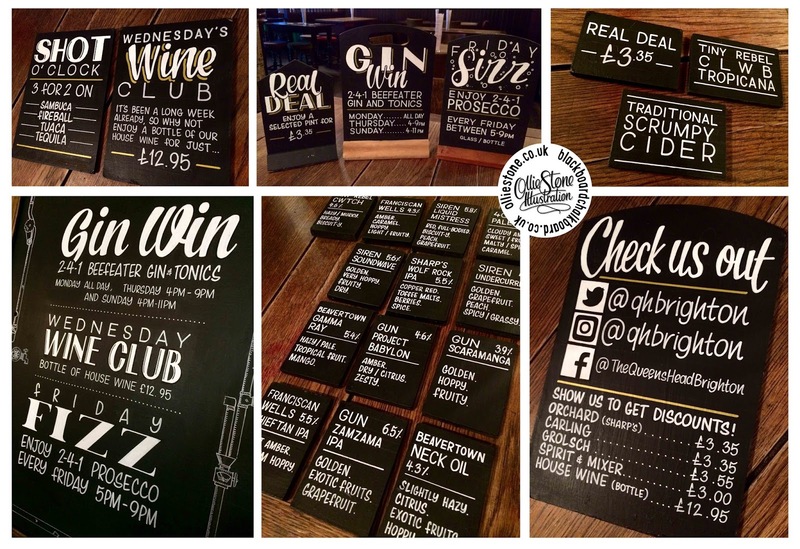 Chalkboards, blackboards and sign writing. 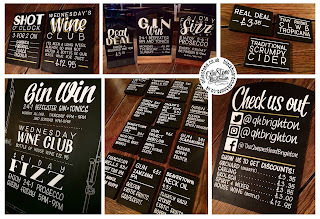 Wine list for The Blacksmith's Inn, Offham. 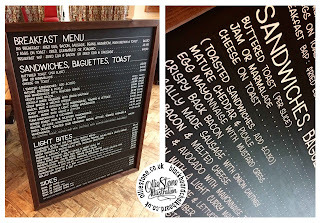 Tombstone for Café Plenty, Brighton. 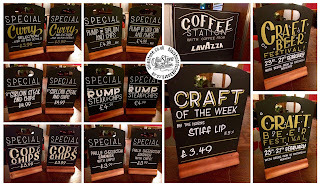 Signage for The Hop Poles, Brighton. 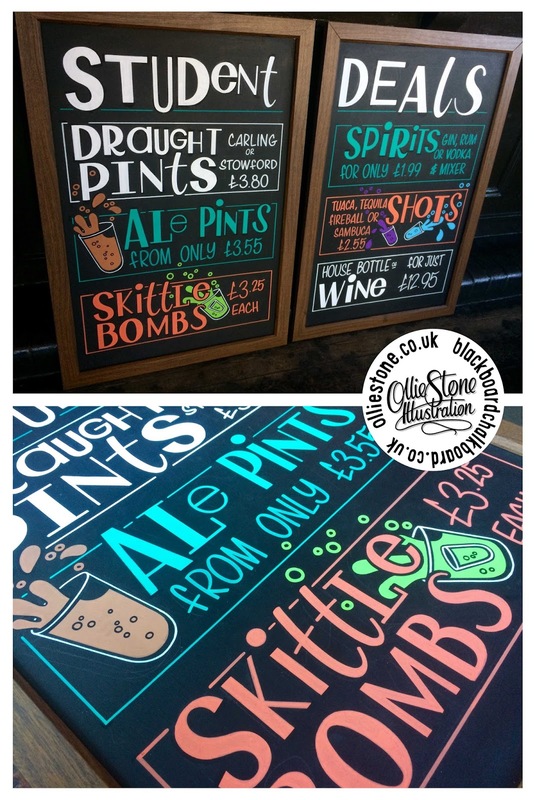 Signage for The Milan Bar, Croydon. 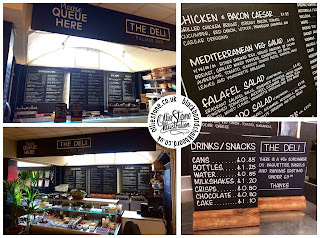 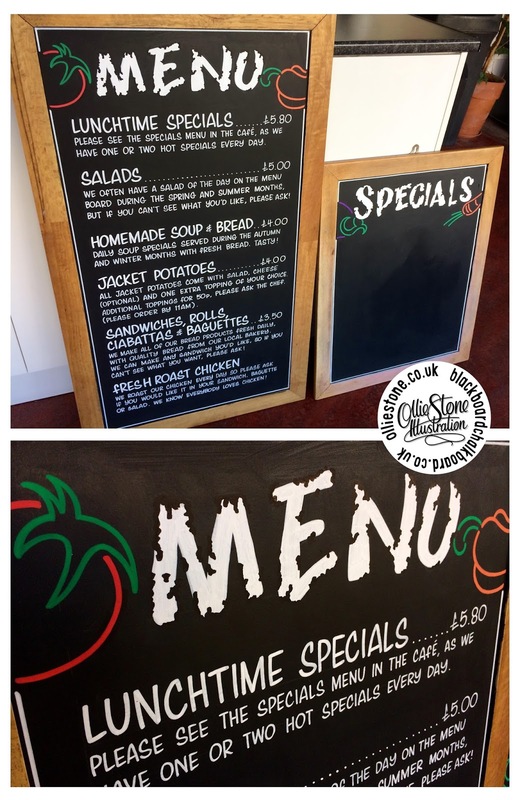 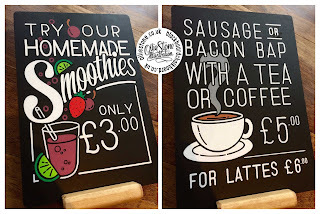 Menu chalkboards for the British Study Centre, Hove. 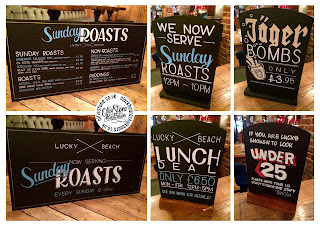 Pub and café custom chalkboards and sign writing. Menu chalkboard signage for Blend Catering at the University of Sussex. 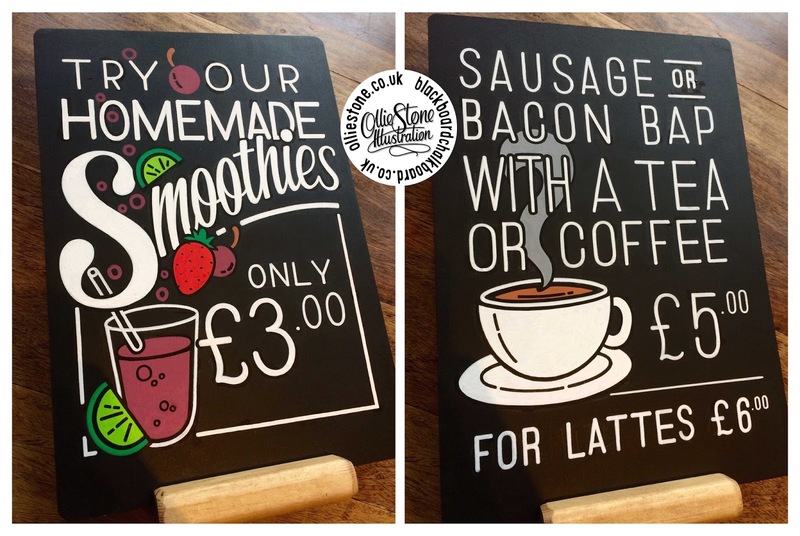 Tombstone chalkboard for Café Plenty, Brighton. 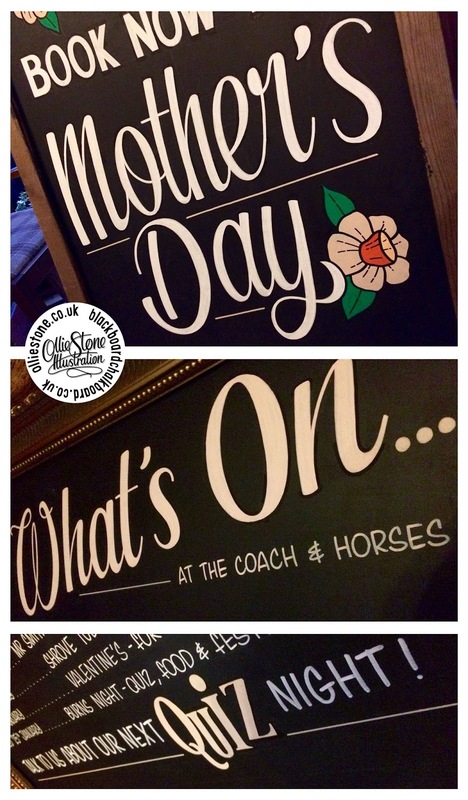 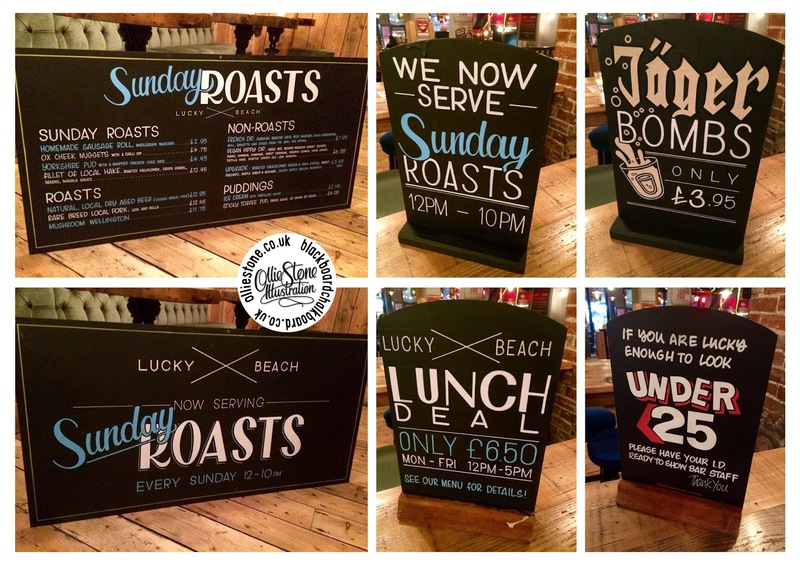 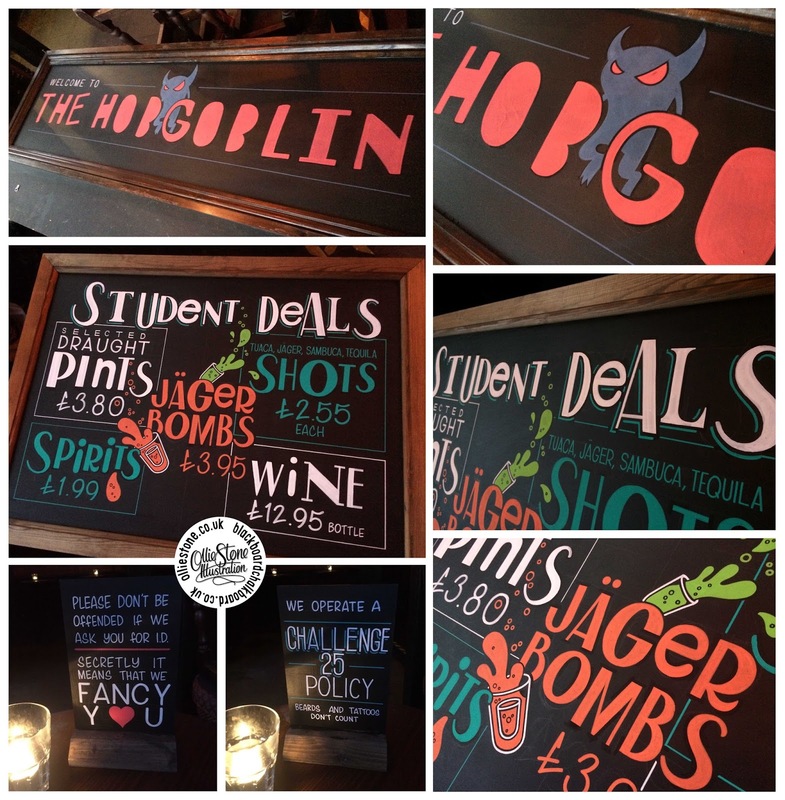 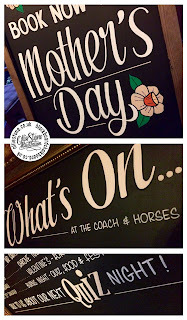 Pub chalkboards for The Coach & Horses, Worthing. 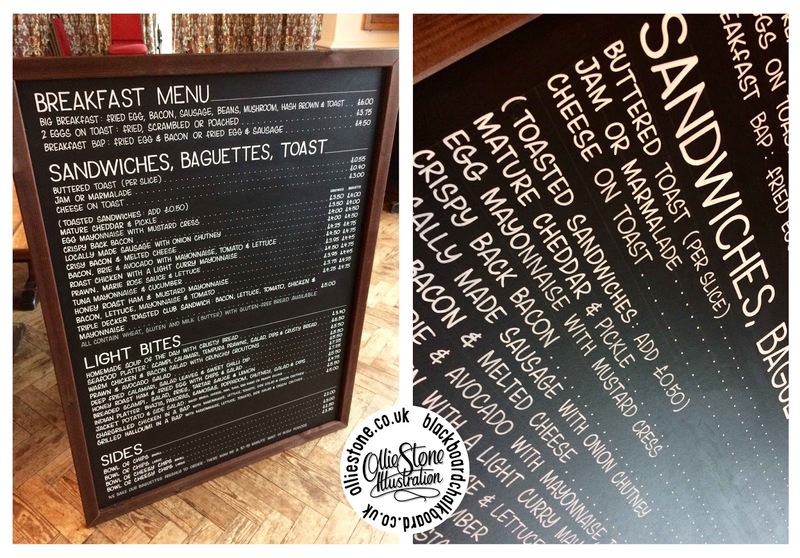 Chalkboard lunch menu for the folks at East Brighton Golf Club. 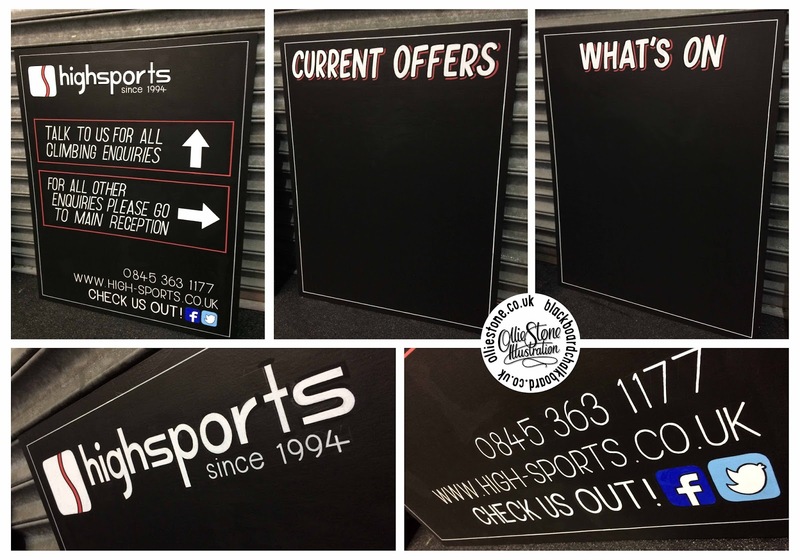 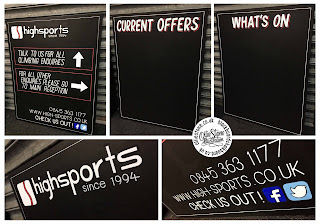 Chalkboards for High Sports Climbing, Brighton. 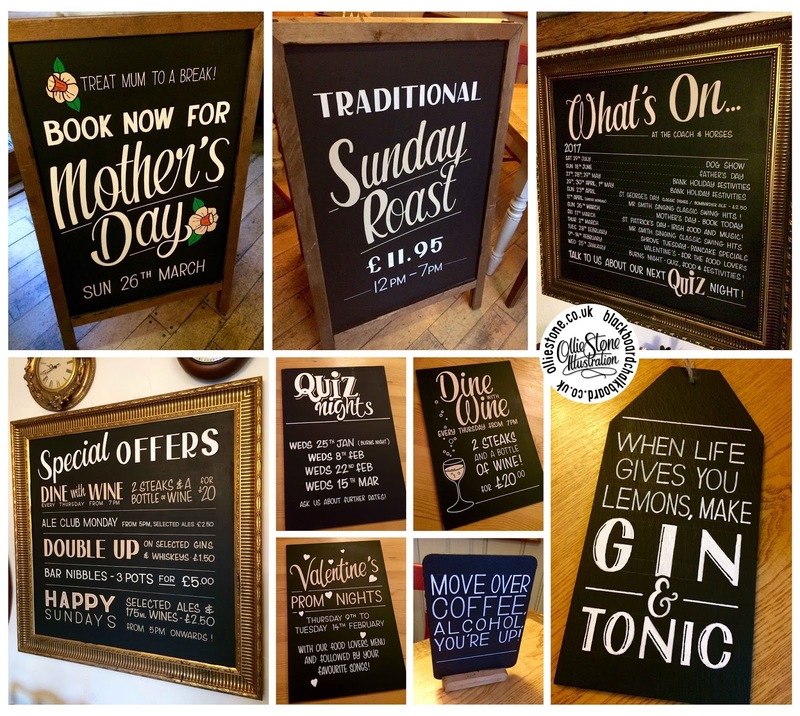 Pub chalkboards for The Queen's Head, Brighton. 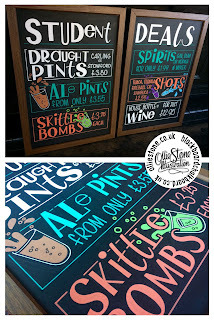 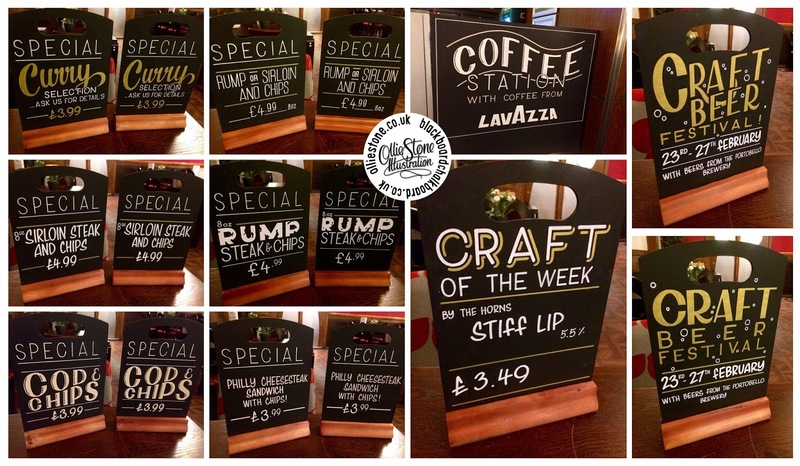 Pub chalkboards for The Seven Stars, Brighton.